Love me a birthday page...still...after all these years. Memory keeping encompasses so many themes and genres. It definitely does not find itself confined by too much. Back in the day all we did were event or themed pages. And then the trend came along that now what we needed to 'scrap' was the everyday moments. When it comes down to it, I like to do all of that. 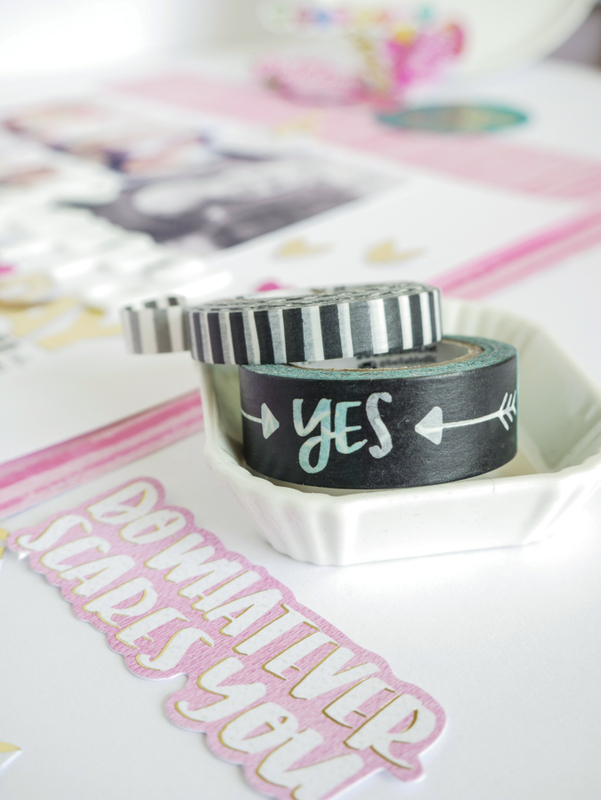 Whether its on a traditional 12x12 page, a planner, or a mini album. I want to have evidence of all the things. 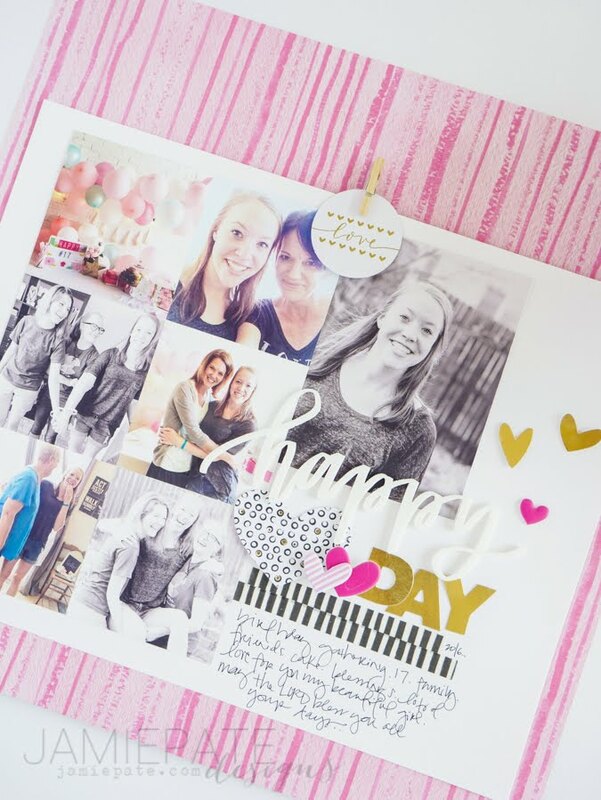 I took the opportunity with Bella Blvd's Make Your Mark collection to work up a birthday page for my oldest girl. What I really like about having these layouts in my album is how these type pages really mark time for me. I'm calendar driven big time, if you know what I mean. 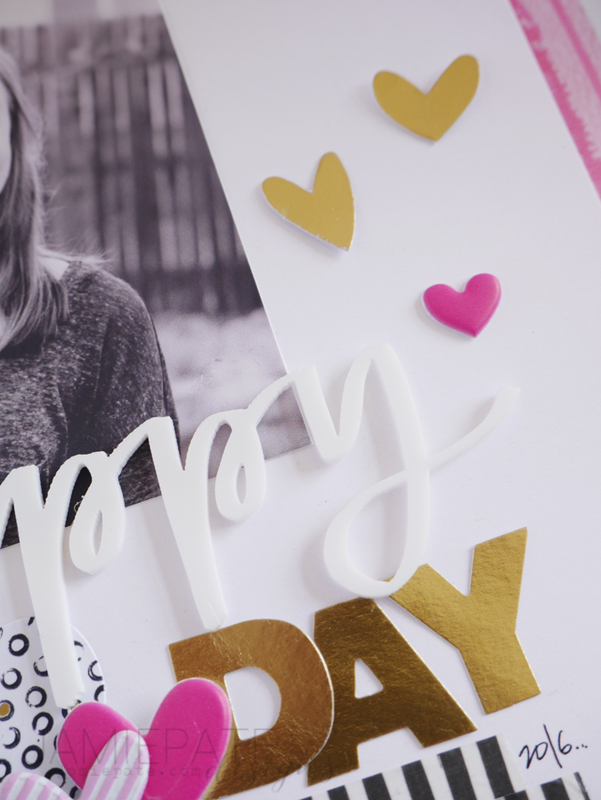 So having birthday pages sprinkled throughout my kid's albums really feeds that need for me. OK...so maybe that was all just an excuse to use that new line from Bella. The white hearts with black and gold marks are so lovely. 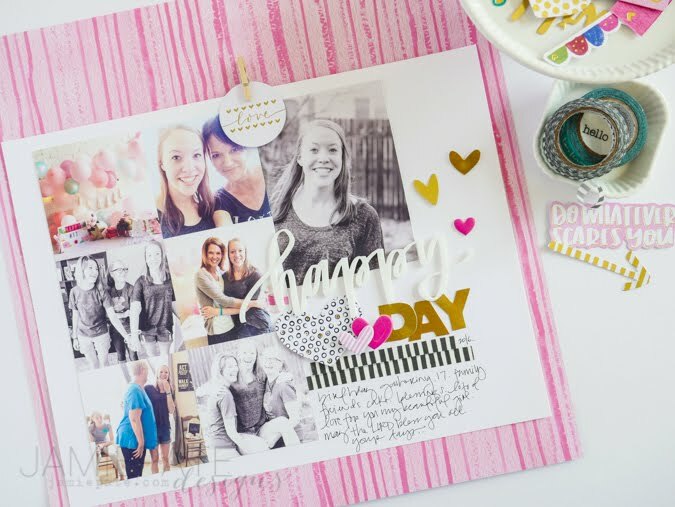 Coupled with a few puffy hearts creates a real easy embellishment cluster. 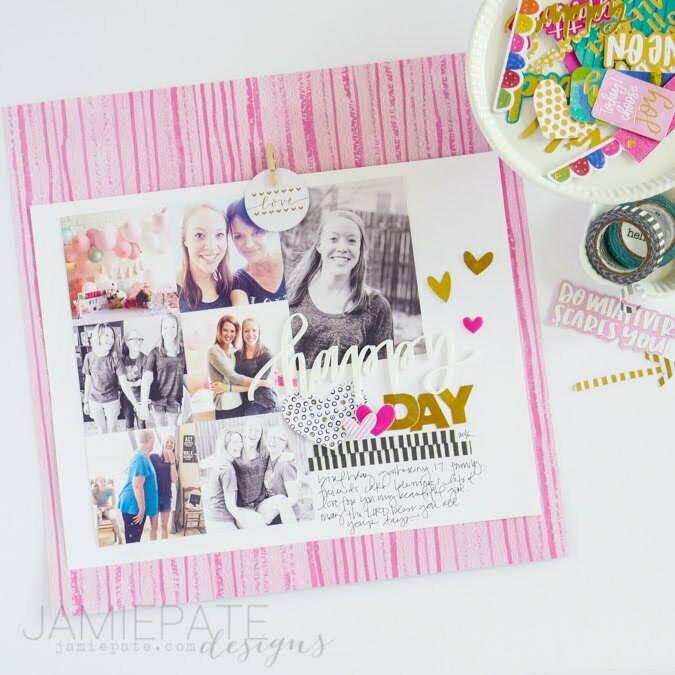 Lots of gold foil found in this mix. I especially liked pairing Acrylic Words with Fundamental gold foil cardstock stickers. to create the happy day title. 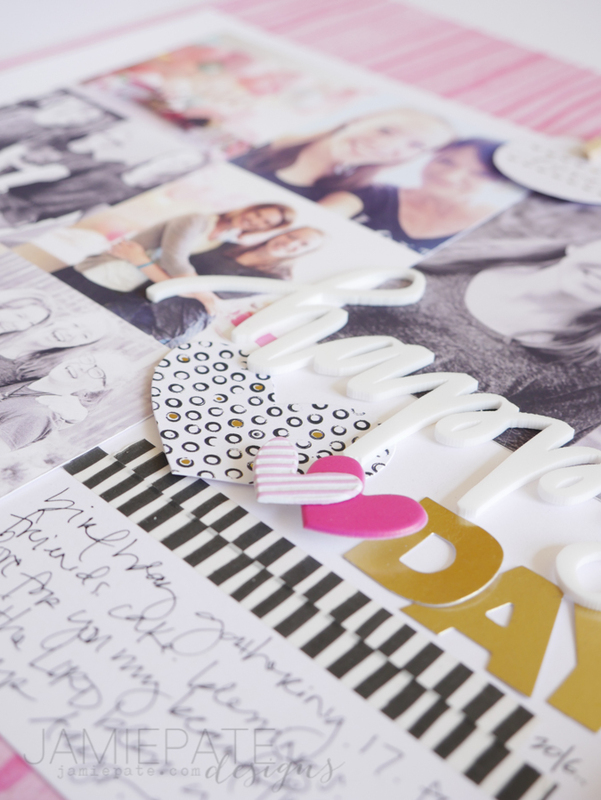 Scrapbook.com has a great selection of this range if you too need to create a birthday page...or any page...or just simply need to get your hands on my all time favorite Bella Blvd collection. Thank you for saying so, Mary. I appreciate it.